First lap and feeling fine! 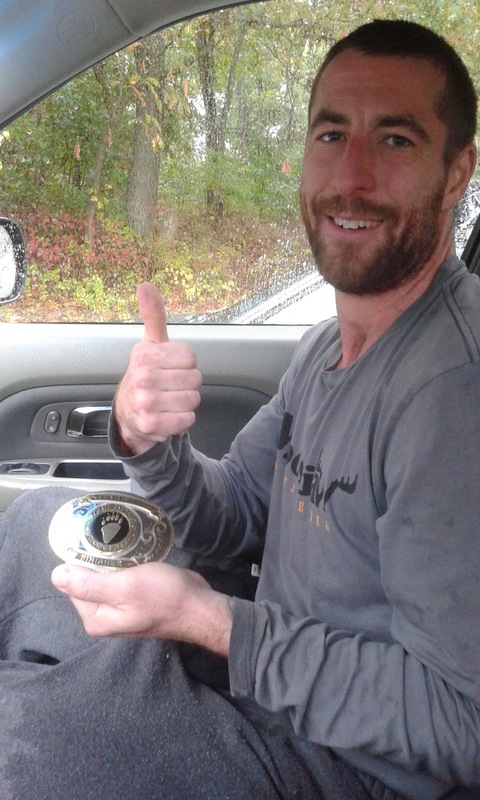 The TARC (Trail Animals Running Club) 100 is a hundred mile race which takes place in Westwood, MA, about a 20 minute drive from downtown Boston. In fact, the Boston skyline is visible, weather permitting, from one point on the course. The 2016 running of the TARC 100 was the fourth running of the event and will unfortunately be the final running of it for the foreseeable future due to a number of reasons. From the few TARC members I heard from about putting the TARC 100 on hold, the main reason that seemed to be repeated was that a TARC member had past and the club felt stretched thin between TARC 100 and all the other races they put on. With it possibly being the final running of a race being put on by a club that already felt stretched thin, one might expect a subpar performance for overall race event coordination. The TARC 100 race director, Josh Katzman, and the TARC crew had quite the contrary in mind with an amazingly well organized event that was run smoothly and exceeded all expectations. The course was amazingly well marked with flagging and signs both with reflective tape so they were easy to see when a headlamp was needed; it would have been difficult to get lost or go off course unless you were in a seriously foggy state of mind (or you head out fast and miss the first turn, that will be explained later). All aid stations were well stocked with everything you would expect and manned by super helpful and friendly volunteers. Additionally, the course route and the spacing of the aid stations was proof that a significant amount of time and effort was put into getting them right. 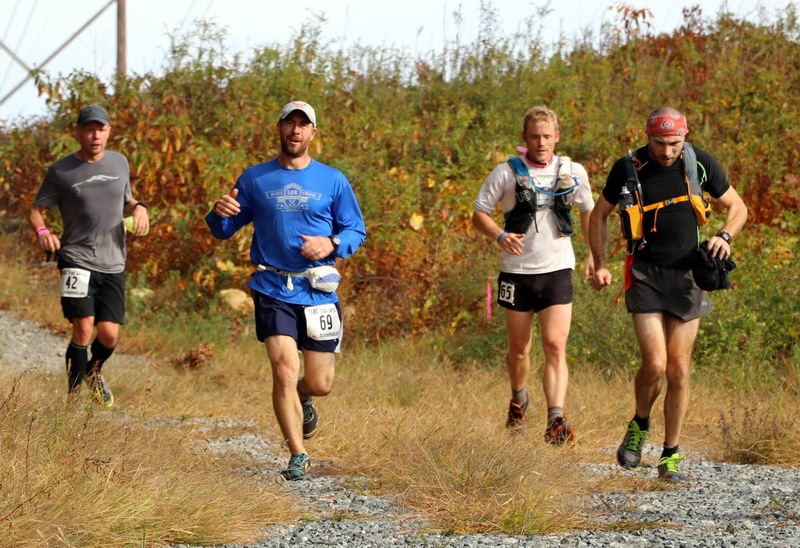 The course is a 25 mile loop of primarily single track trail. There is one short section, probably less than a couple hundred feet, of the course where there is two way traffic. Other than that, there is no repeated trail during each loop. I’d estimate that the course is easily over 90% trail with the remainder being made up of short stretches along gravel and a few paved roads. It was somewhat technical, some sections more so than others, with a decent amount of exposed roots and rocky sections. There is also a fair amount of elevation change with about 2,500 feet of gain during each lap for a total of 10,000 feet of elevation gain. Not a crazy amount of gain, but definitely not flat either. I registered for this 100 miler more or less to overcome my fear of the 100 mile distance. My goal for 2017 is to complete the PA Triple Crown Series: Hyner 50k, World's End 100k, and Eastern States 100 miler. 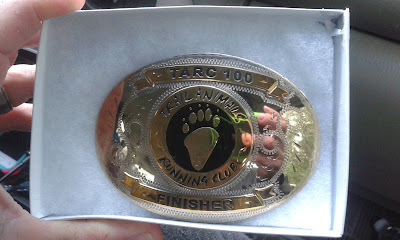 Up until finishing the TARC 100 I felt confident about everything in the Triple Crown Series other than the 100 miler. Wrapping my head around covering 100 miles was something I was struggling with so I figured if I want to have any confidence next year in finishing the series, what better way than to just get a hundred miler out of the way this year and prove to myself that it is a doable distance. So, with having done a 40 and two 50 milers already this year, I registered for the TARC 100 about a month before the race. I basically viewed all of my training runs and the 50 milers as training runs building up to the 100 miler. With it being my first shot at a 100 miler and not being familiar with the course, it was tough to decide what an achievable yet challenging goal would be other than just finishing. I figured 24 hours is kinda the standard time goal for a 100 miler that isn’t ridiculously technical or that has some other feature that would really cost you time, so that became my A goal with finishing before the 32 hour cutoff being my B goal. After my final long training runs of back to back 30 and 20 milers, I was feeling extremely confident going into my three week taper. I even feared that I was dangerously overconfident and I was going into this with way too much optimism and that quite everything I hoped this journey to be could very well come crashing down and destroy me around 70 miles in. Thankfully, that bout of overconfidence passed a few days before the race and I was filled with a more extreme version of the nervous excitement that I am accustomed to before a race. 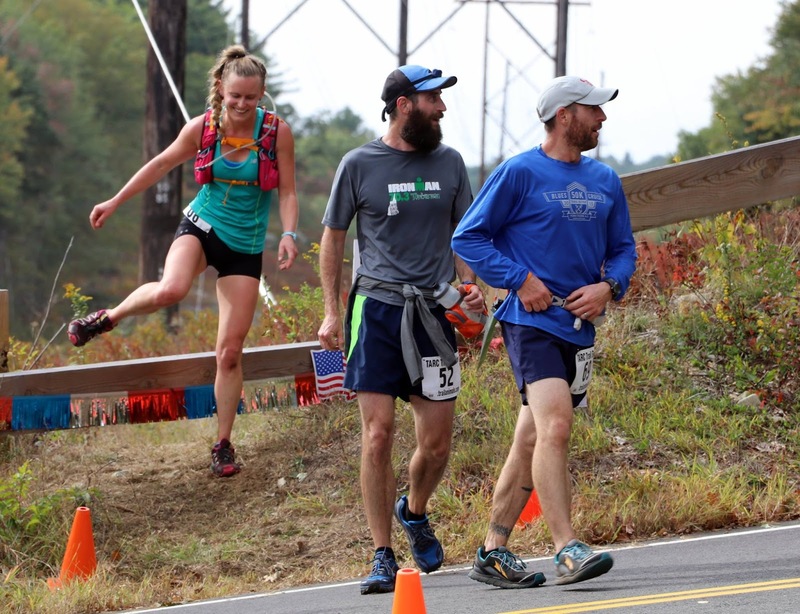 My basic race strategy went against several of the ultrarunning commandments I have heard stressed time after time on podcasts and in race reports: don’t go out too fast and don’t try anything on race day that you haven’t practiced on your long runs. I broke both of these to a certain degree. I planned on running the first half faster than the second half for two reasons: I’d have fresh legs and wouldn’t feel as tired during the first 50 (novicely planning on banking time for the second half) and that I had not done much trail running after dark so I thought even if I am still feeling strong after dark, my pace was still going to suffer due to my inexperience of running trails with a headlamp (breaking two commandments in your overall race strategy, maybe not a good idea for your first 100?). I further broke the “do nothing you haven’t practiced on long runs” commandment with nutrition/hydration. 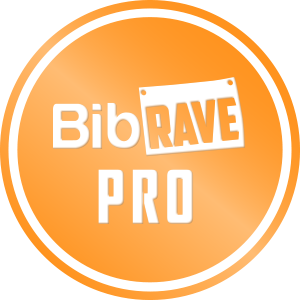 I had used and was comfortable with everything offered at the aid stations, but decided to bring a couple untested items that I’ve heard raved about on a few occasions. Those items being coconut water and Starbucks frappuccinos, neither of which really caused any problems. Towards the end of loop #1. The first 25 mile loop went well and was for the most part uneventful. I started middle of the pack and followed the people in front of me. Probably less than 50 yards from the start, I hear from right behind me, “you’re going the wrong way!”. It turned out the leaders missed an early turn, possibly the first one, before even getting on the trail. Thankfully it was a mistake caught early, but it made for a lot of passing early on as the lead pack attempted to get back to the lead. Other than this, the first lap was smooth and right on my target pace (12 to 14 minute miles). I was eating and drinking at every aid station as planned and was back to the start/finish area in about five hours. The second loop deviated a little from my plan, mainly because of some chatting I did with another runner. Not that I didn’t talk with anyone during the first loop, but shortly after meeting this runner, Dima was his name, and chatting with him a bit, I found out there were only about five or six runners in front of us. I had no idea until this point how far I had moved up with respect to placement. I had no place goals going into the race, only the 24 hour finish goal which I thought would likely put me into the top 10 if it worked out. Finding out this early on I was already in the top 10 was really unexpected. I also learned that Dima had finished about 13 or so 100 milers and a few 200 milers. With this conversation, I began to think that my newbie overconfidence of the 100 mile distance might wreck my second half. Dima was way more experienced than me and good company so I decided to match his pace for a while. After about 10 miles of running together we were probably still averaging around 14 or 15 minute miles, but I found myself getting angry and frustrated that I wasn’t banking the time in daylight like I had during my first loop. I decided that whether my legs blew up or not due to my plan, I did not want to run angry or frustrated and parted ways with Dima as I picked up my pace to the higher but comfortable effort level I had maintained earlier. I finished the second loop at about the 10.5 hour mark, just a few hours before dark as planned. Going into my third loop and the unchartered distance of over 50 miles I still felt good and my legs felt like I could push them if needed. I believe I was in fifth place at this time as I passed another runner shortly after parting with Dima. I wanted to maintain the pace from my first 50 miles until the sunset during my third lap. I was able to do this for what seemed much less painful than I had expected until the 10 mile aid station. At that aid station my wife was going to join me to pace me for the remainder of the loop. It was really last minute plans as my wife wasn’t even planning on coming with me to the race until maybe a couple weeks before it. I really had been planning on going solo and not using a pacer, but it was tough to turn down the offer after she had arranged to be there to support me. So after a short stop at the aid station we headed out with our headlamps on as it had quickly gone from sunset to darkness. Surprisingly for both of us, my pace did not slow down a great deal running in the dark. It changed so little that my wife had problems keeping up which was a bit frustrating for me. I’m not saying this to take anything away from my wife or to brag, because she is a good runner, but she is a very apprehensive trail runner even in the daylight. I think the mediocre at best headlamp and technical terrain were the two things really slowing her down. Anyhow, after a couple miles she yelled to me to just go on without her. It was kinda bittersweet as I wanted to run with her, but I didn’t want to have to sacrifice my pace for it. I came into the next aid station (around mile 15 on the loop) at the same time as another runner. I was pretty surprised when the aid station captain announced that we were the third and fourth place runners. 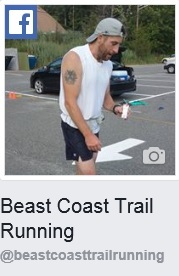 I had passed other runners since the last aid station, but I had assumed they were all 100k distance runners. I passed through quickly and continued on feeling good physically for the remainder of the loop. Mentally, however, I was a little worried about both the pressure of knowing the fourth place runner was right behind me and the fact that I had left my wife a few miles back. Maybe it was that or maybe it was just the adrenaline I had flowing that helped me maintain my pace until the finish of the loop when I was able to see her again at the start/finish area and know that she had made it back safe. It turned out she was able to catch a ride back from the next aid station, just a couple miles from where I had left her. That was a bit of relief and peace for me before heading out for my final lap. After a nap and a change of clothes. with every loop, my thinking was a little scattered by this point, and although I had an approximate idea of the spacing, I never knew the exact distances of the aid stations throughout the course. 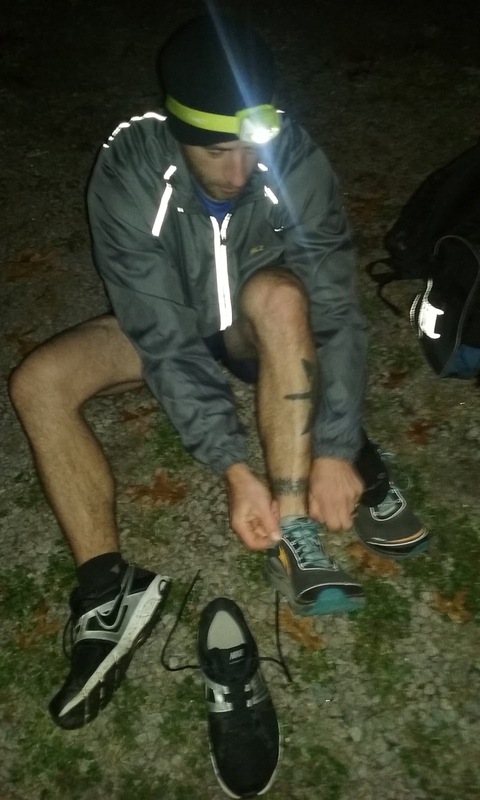 Maybe it was the mental game of knowing how close to the finish I was, but shortly after leaving the aid station I began feeling more pain than I had all day. Primarily in the lower shins just above the ankles which took me by surprise because I normally never have pain in that area and have only had shin splints once before nearly 10 years ago. I figured that a bit of pain during the last 10 miles of a 100 miler is probably pretty normal, so I accepted it and continued on as best I could. I made my final pass through the final aid station and pushed myself through the final tough stretch of the loop that the TARC crew lovingly refer to as “The Grinder”. I guess it gets this name due to how technical it is with lots of exposed rock (which had become pretty slick from the drizzle that had started in the last few hours) and how windy the trail feels through that section. It was just very difficult to maintain any pace or feel any flow when constantly rock hopping and turning. It was pretty amazing how much more difficult it had become the fourth time through compared to the first time when my fresh legs told me it was nearly all runnable. I was grateful to get through without eating it and push with anything I had left for the last mile or so of the course which was pretty easy terrain. When I saw the Christmas lights of the finish area it was a beautiful sight. The only thing that topped it was seeing my 22:02:00 finishing time and being handed a shiny buckle shortly after. All things considered, I couldn’t have been happier with the outcome. I proved to myself that the 100 miler is achievable. I had a plan (even if it did go against some fundamentals) and for the most part stuck to it. My goal was to get it in under 24 hours or blow up trying to. My inspiration for the all or nothing mindset of that goal really came from watching irunfar’s post UTMB interview of Zach Miller multiple times. The passion, perseverance, desire, disappointment, and heartache was all on full display during that interview. As inspired as I was by that interview, it also haunted me for the last lap. During the interview Zach talks about how things had gone so well for so long until he started bonking with somewhere around 15-20 miles to go. As I was approaching the 80, 85, and 90 mile marks I was almost waiting for things to fall apart. Thankfully, they never really did and the wheels never really came off.